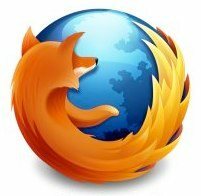 Last month the Department of Homeland Security asked Mozilla to remove a Firefox extension called MAFIAAFire that helps web surfers access websites whose domain names have been seized by the government for alleged copyright infringement. Because the government seizes only the site name and not the actual servers, affected sites can simply buy a new domain from a non-U.S. registrar and go back online. The add-on in question makes the takedowns less effective by simply redirecting traffic from the old domain to the new one. Two weeks have passed and the government has not responded to Mozilla’s questions. The Immigrations and Custom Enforcement (ICE) began seizing domains last year on grounds that the targeted sites are engaging in illegal activities. The fact that this agency works closely with entertainment and media companies, allowing them to sidestep the normal litigation process, has proven controversial. Wikileaks cables have also shown how these companies lobbied to implement similar laws outside the U.S. -- with Spain's "Ley Sinde" a prime example. The creator of MafiaaFire, meanwhile, posted a statement on the add-on's blog explaining that the program was written in response to what he believes is abusive and illegal behavior from the DHS. "Hat's off to Mozilla for sticking up to them, at first we were afraid if Mozilla would even host it due to it's controversial nature but they truly backed up their open source supporting words with actions," the blog post reads while announcing that a Chrome version is coming soon.